Chatsworth Chamber 1 is a semi-anechoic chamber. 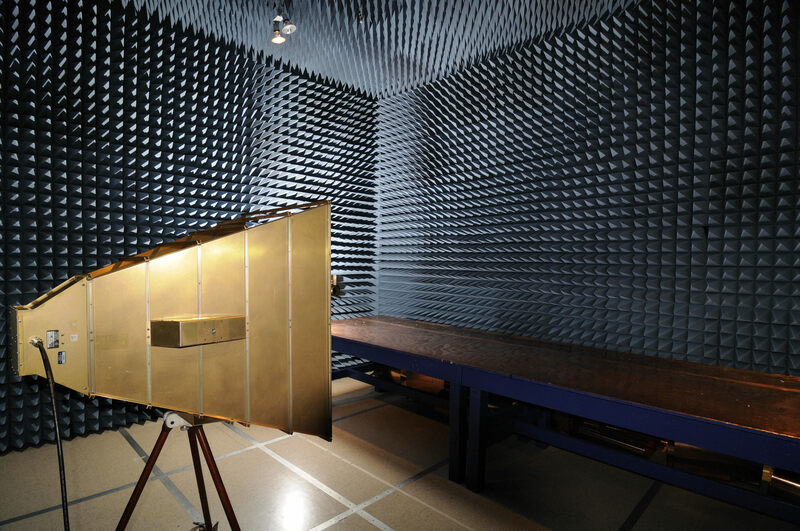 “Chamber 1” is specially configured to meet the unique test site requirements of commercial aerospace, military and space EMC testing. The chamber is equipped with an attached isolation room for UUT support equipment, a 4’ wide door, and a 19 ft. test table, capable of supporting large system level UUTs. The test bench can easily be moved from chamber to bench test area with minimal interruption to UUT set-up. Chatsworth Chamber 2 is a semi-anechoic chamber. 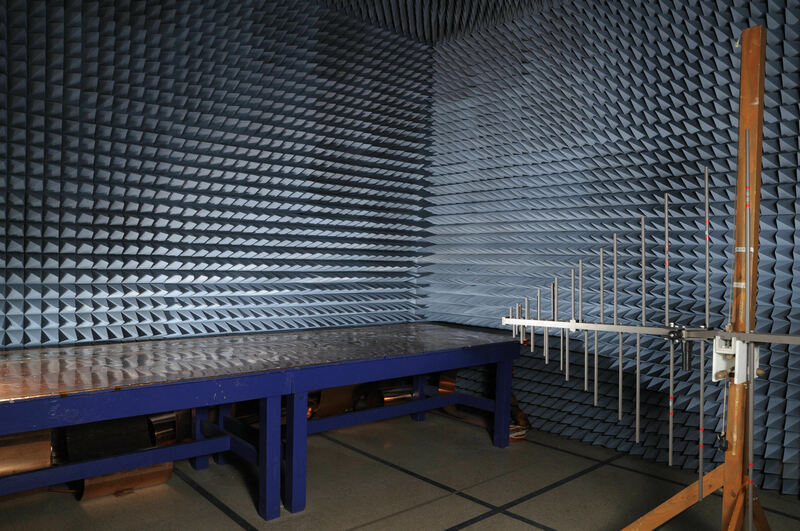 “Chamber 2” is specially configured to meet the unique test site requirements of commercial aerospace, military and space EMC testing. The chamber is equipped with an attached isolation room for UUT support equipment, a 6’ wide, double leaf door, and a 19 ft. test table, capable of supporting large system level UUTs. The test bench can easily be moved from chamber to bench test area with minimal interruption to UUT set-up. Chatsworth Bench 1 is uniquely configured to perform ‘bench level’ testing for DO-160 and other commercial aerospace EMC requirements. “Bench 1 includes a 19ft. test table, capable of supporting large system level UUTs. The test bench can easily be moved from bench test area to Chamber 1 with minimal interruption to UUT set-up. Chatsworth Bench 2 is uniquely configured to perform ‘bench level’ testing for DO-160 and other commercial aerospace EMC requirements. “Bench 1 includes a 19ft. test table, capable of supporting large system level UUTs. The test bench can easily be moved from bench test area to Chamber 2 with minimal interruption to UUT set-up.